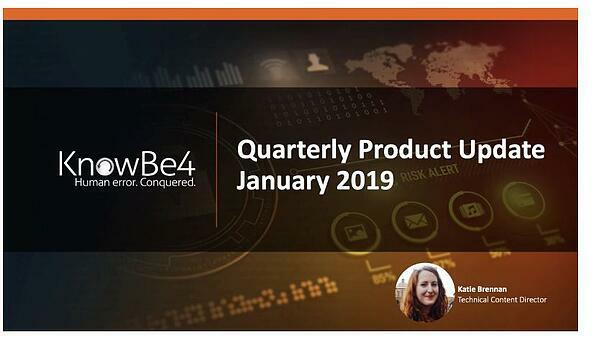 Every quarter, the KnowBe4 Technical Content team creates an update of all the new content and features that have been added the last three months. Here is the Jan 2019 issue, which covers a wealth of cool new stuff that was added to your platform. Katie Brennan, our awesome Technical Content Director created this new 10 minute version that covers all the news! Here is the video - warmly recommended to quickly get up to speed! Here's Katie! NOTE: This page also has links to the support site articles that cover these topics. 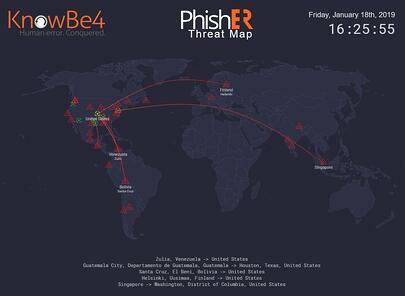 Also check out the cool PhishER Threat Map that shows real time suspicious emails reported by employees to their Incident Response Team. Click on the map.